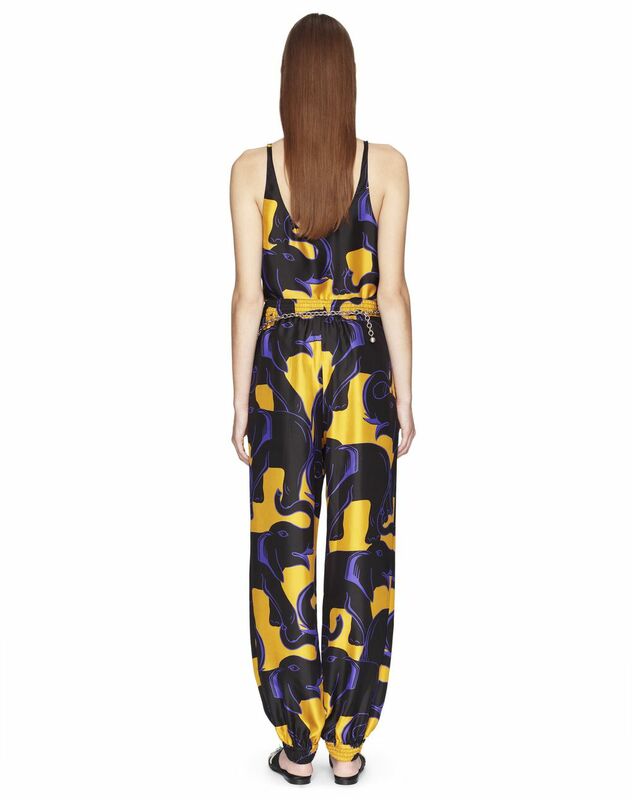 Dark purple "Elephant" print silk weave top, thin straps, and round collar. 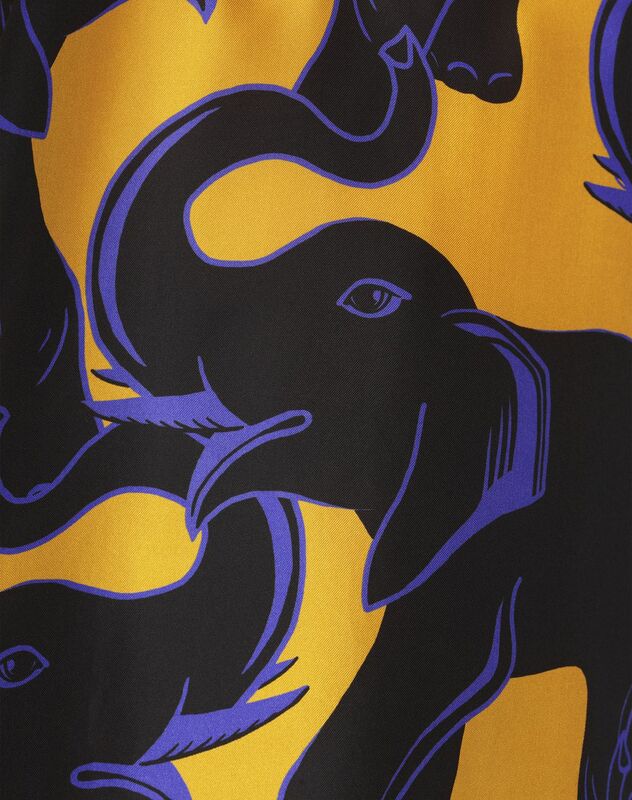 This silk top features the "Elephant" print, a key theme this season, which leaves the brand’s mark on this piece. The soft material combined with the graphic motif in an exquisite color palette gives this top a distinctively feminine and fashionable look. 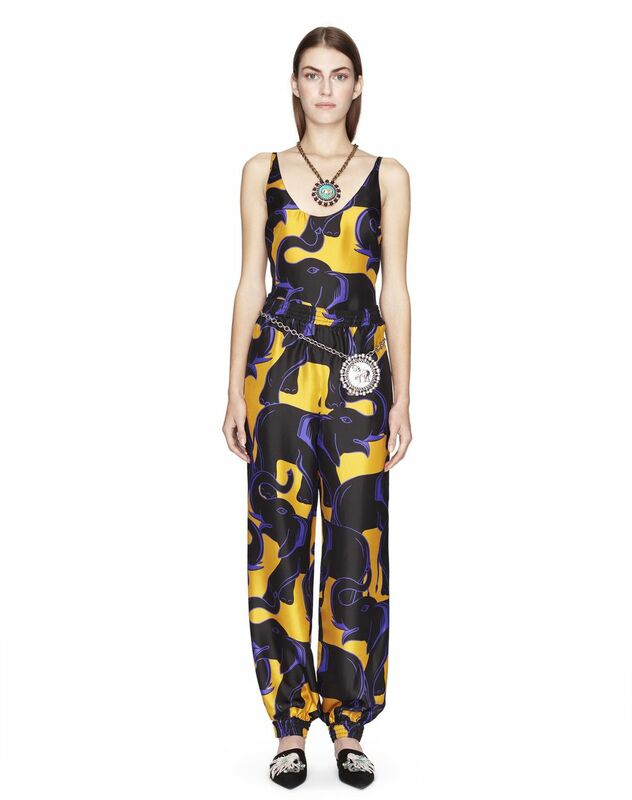 Modern and elegant, this piece stands out as a seasonal must-have. Main material: 100% silk weave. Model's measurements: Height: 5’ 10” Chest: 33” Waist: 23.2” Hips: 34.6” Model wears a size 4. Made in Italy.